This climbing rose is ‘Orange Triumph’ — it is more of a coral color with orange hues appearing as the flowers age. The roses occur in flushes two to four times a year, depending on the amount of summer heat. The first outbreak has the largest and most numerous flowers. In my garden, blackspot is quite an issue with this rose. When infected with blackspot, Orange Triumph will drop leaves very quickly. If the blackspot is severe enough, the rose may die back—quick leaf drop with slow growth makes a rose highly susceptible to blackspot because it is an energy drain (leaves are where photosynthesis occurs to produce sugars for energy). A fungicide labelled for blackspot will help, but that’s an expensive and never-ending battle because the fungus is everywhere. For best results, plant only those rose varieties that have blackspot resistance — that doesn’t mean they won’t get blackspot, just that they can survive it. When I purchase it, I did not realize it was so susceptible to blackspot. The blooms are quite showy when they appear, so I’ll keep this one in the garden despite the leaf dropping. 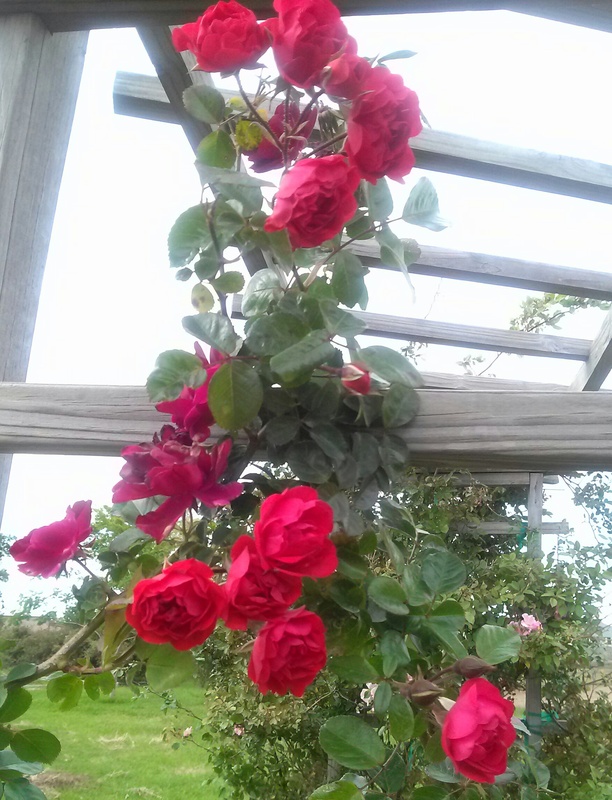 As with all repeat blooming roses in USDA zone 8b (can also apply to 8a and 9), prune around Valentine’s Day.